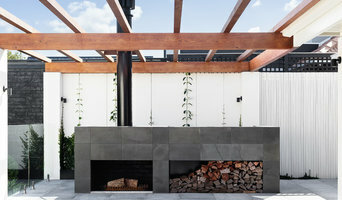 Wattle Ya Do specialised in unique Australian landscapes, based on the clients lifestyle, location, history and environment. 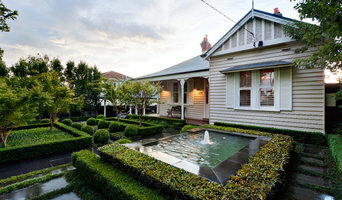 PTA Landscapes have over 30 years experience producing award winning landscapes. The team at PTA Landscapes is managed by Directors Andrew Wilson and Dion Loncar, who oversee experts that deliver high quality projects from design through to construction and ongoing maintenance. OWNER/BUSINESS PROFILE Business Owner : Guy Batters, Born in St.Arnaud, Vic Guy Batters Studied 'Diploma of Horticulture' at Homlesglen Tafe Gardens Alive began business in 2010 Growing up on my family owned and operated farm gave me the life skills, determination and hard working spirit that is required to provide a quality final result to my clients. The joy that the outdoors brings to me gives me great pleasure in designing and creating the perfect outdoor sanctuary for my clients. Communication with my clients is a crucial part of the process to provide a result that you as the client is truly satisfied with. Locally owned and operated, we provide friendly service and innovative techniques to all our neighbours on the Mornington Peninsula. We always deliver perfect, personalised landscapes for each of our unique clients. We have developed a stellar reputation for completing projects on time and on budget. Garden Planner’s Landscaping have been designing and constructing residential gardens throughout the eastern suburbs of Melbourne since 1987. Our focus has always been on quality workmanship and personalised service. We design stylish and practical gardens, tailored to meet the client’s needs. The resulting gardens are not just to look at, they’re to be lived in and enjoyed. 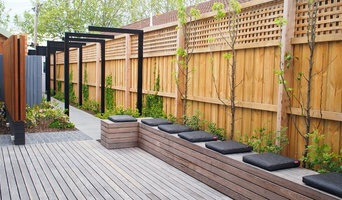 Garden Planner’s Landscaping is aware of the sensitivity of our environment, and endeavours to use hard and soft landscape materials, as well as building techniques, in an environmentally responsible way. We are an accredited Green Gardeners business and a member of Sustainable Gardening Australia (SGA). We have played a role in developing eclips (Environmentally Certified Landscape Industry Professionals) with SGA in an effort to create more awareness for both our peers in the industry, and our clients. Some of Melbourne’s best known Garden Designers, including John Patrick and Rick Eckersley have commissioned Garden Planner’s Landscaping to construct gardens for their clients, knowing that the resulting gardens will be built to the highest standards. Garden Planner’s Landscaping has been a member of Landscape Victoria (formally Landscape Industries Association of Victoria (LIAV)) since 1998. The business owner, Rod Hanley, served on the LIAV Board for six years, retiring as Treasurer and Vice President in 2005. Since then, he has continued to serve on several sub committees with the association, working on various projects as required. Garden Planner’s Landscaping have been recognised at the annual LIAV Awards of Excellence for the quality of their designs and construction work on a number of occasions. We take great pride in our work, and as we see it … At Garden Planner’s Landscaping,...your garden is our garden. 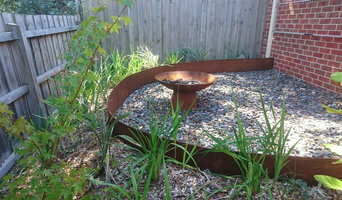 Coastal Creations landscaping is your professional landscape provider, located on the Mornington Peninsula, Victoria. We specialise in Landscape Construction Solutions for residential properties and are dedicated to providing high quality landscaping services at affordable prices. We pride ourselves on excellent customer service, a high work-ethic and a high attention to detail in all our services. We provide specialist masonry designs from our talented and highly skilled Stonemason. Our friendly and helpful team members look forward to helping you create something you will love. 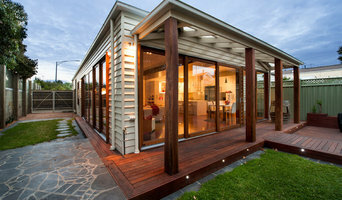 Southern Style Landscapes is a family-owned business based in the heart of the Mornington Peninsula in Victoria. Southern Style Landscapes is the brainchild of Ben Clements, a passionate landscaper with over 15 years experience in the industry. Ben’s innovation and the dedication of his hard-working team have resulted in striking garden projects across the southern region.